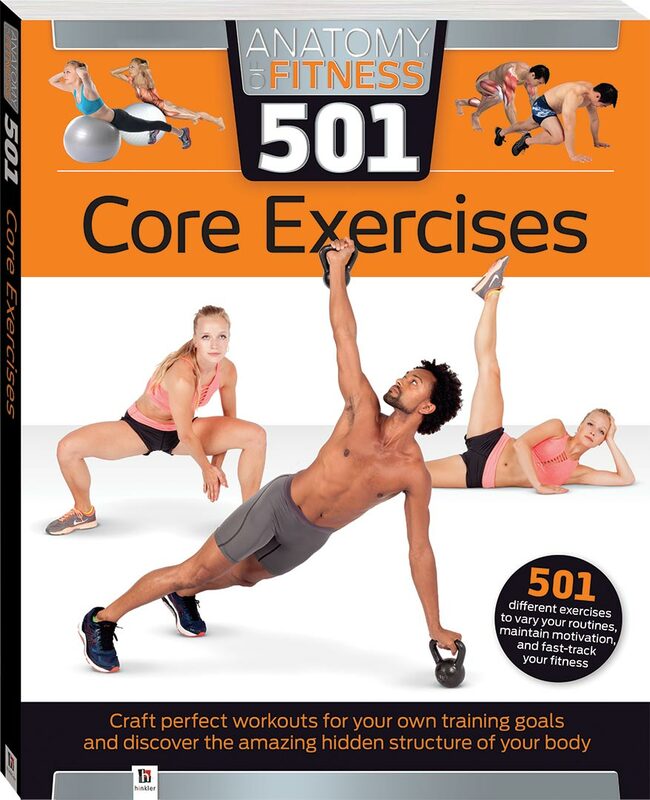 Anatomy of Fitness 501 Core Exercises features a huge range of exercises designed to strengthen the core muscles and enhance core power, with photographic demonstrations as well as detailed illustrations of the musculature being used in each movement. Core training helps to develop the inner and outer abdominal-muscle layers, increases upper- and lower-body strength, and stabilizes the muscle groups of the back to improve the total movement of the entire body. Every pose inside this 192-page book includes instructional images and clear, detailed directions. Each major type of pose features informative anatomical illustrations that highlight both the primary and secondary working muscles, with tips on the correct form to ensure you’re working safely and efficiently. With lots of variations featuring various levels of challenge, there’s something for everyone, regardless of their level of fitness and experience.